Savannah decided to cut a butterfly out of one of the patterned papers to use as an embellishment. She didn't ask to use any stamps and worked with only what came in the kit. Arwen didn't use any stamps either and wanted to actually write her sentiment on the front of the card. :) They had a lot of fun deciding which papers to use and what embellishments to add. 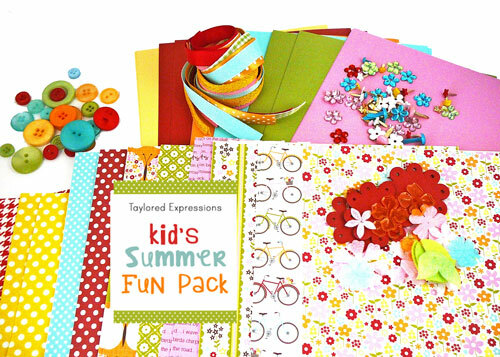 The Kid's Summer Fun Pack is available RIGHT NOW in the TE Store!! 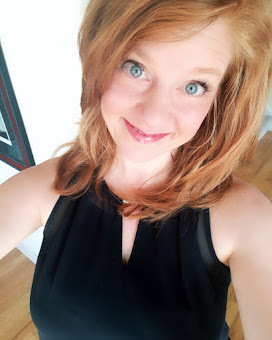 Below is a list of the Baker's Dozen blogs where you can find more Tiny Chef projects! 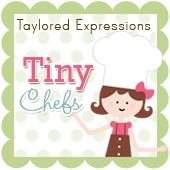 Get crafting with your Tiny Chef!! You can find more information about the kit by visiting Taylor's Blog. Thanks so much for stopping by and Happy Summer Crafting!! Your girls are adorable, Charmaine! 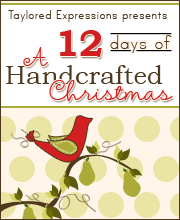 Love their creations too :) What a fun way to spend mommy/daughter time together! ADORABLE!!! Savannah and Arwen - you both did a great job! I can't believe how big you girls are getting!! !Arwen, I loved that you wrote in sentiments and Savannah that butterfly that you cut out is such a darling embellishment!!! Well done lovely Tiny Chefs!!! 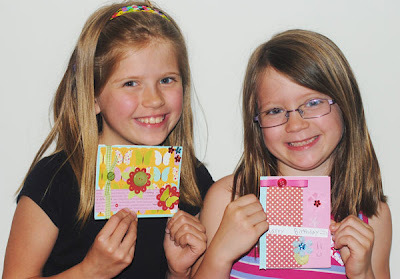 Savannah and Arwen, you both did a beautiful job with your cards! 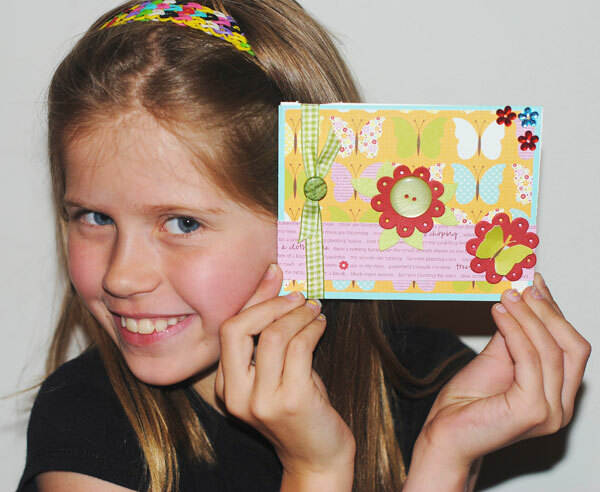 Savannah, cutting out the butterfly as an embellishment was brilliant and looks so pretty! Arwen, writing your own sentiment was an amazing idea and one I really love, great job, girls! SO wonderful, girls! Savannah, I love butterflies and yours is just beautiful! Arwen, love your sentiment and sweet hearts! 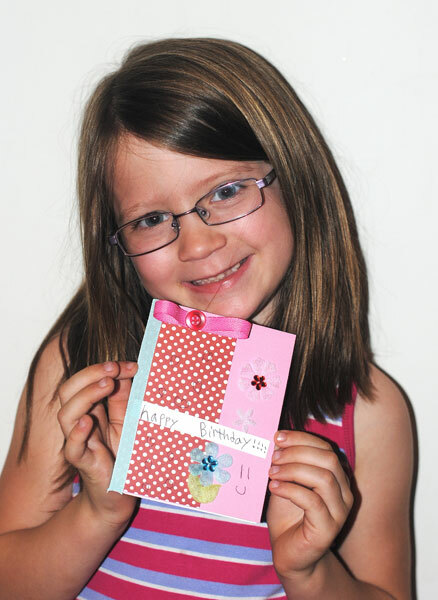 Savannah and Arwen - I love your cards. I love how you embellished them! Oh Wow!! you guys did a Wonderful Job on your Cards!! 8-) Savanah I loved the combination of papers you chose and Pretty butterfly embellie you made too! And Arwen I Love the Pretty sparkly gems and all your Sweet hearts too! Great Job you two!! Savannah & Arwen - your projects are super awesome! 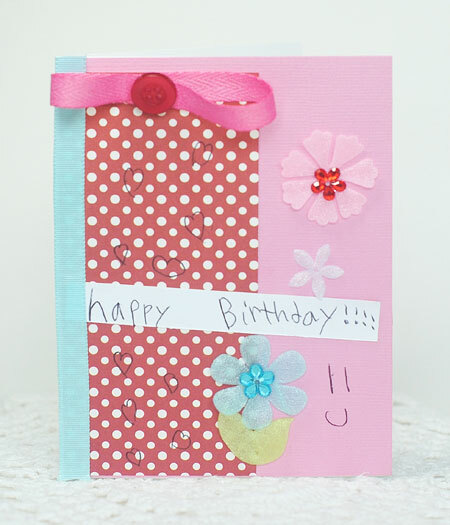 I love your hand-written sentiments for a sweet personal touch! Thanks for sharing your creativity with everyone! 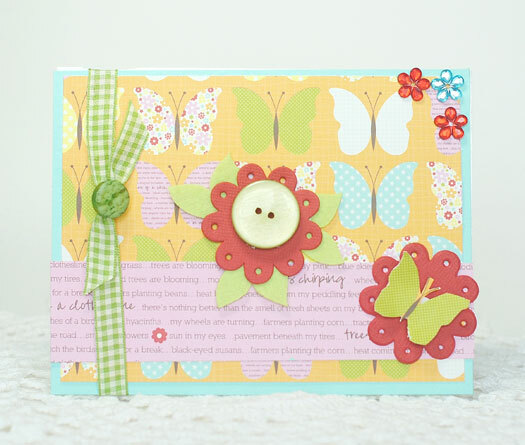 Savannah I really like the way you layered the butterfly and the paper flowers! Your card looks wonderful. Arwen I love the pretty bow you made and your wonderful hand written sentiment!